"Rory McIlroy should love the conditions at Bellerive this week. US PGA courses suit him and he's already had two top fives in the majors this year." From the start of 2015 DJ has played 14 majors and made the top 10 in eight of them. Four of those were top fives. That run includes a poor 2017 when he never got back on track after falling down some stairs at The Masters. Another filter would be that he's made the top 10 in eight of the last 11 majors held on American soil. "I feel like the course sets up well for me," he said after seeing Bellerive for the first time. "I really liked it yesterday when I played it. I feel like the game's in pretty good form coming into this week. I expect to play well here this week." After a dominant win in Canada and fast-finishing third at Firestone, it's hard to see the World No.1 not being in the thick of contention. Rory has two top fives in the majors already this year so he's done backers plenty of favours in these markets despite frustrating those who want the win. He's lifted the Wanamaker trophy twice and says: "I have always enjoyed PGA Championship setups. They seem to suit my game style pretty well, sort of modern layouts that reward good driving, reward good ball striking. From what I've seen (of Bellerive) it does remind me of somewhere like a Valhalla (won this event there in 2014) type of golf course where there's quite a lot of mounding. It's the quintessential target golf, sort of. That's what it is this week. Where your ball lands is where it's going to really stay." Those wet conditions always boost Rory's chances so he has everything in place to shine. "It's a great driving course, kind of long doglegs that you have to kind of drive it, fit it in here," said Thomas when he played Bellerive on media day a couple of months ago. "It's not like everyone's playing to the same spot. You can take some bunkers on. Driving's going to be at a premium. You need to hit the fairways so you can have control with your irons going into the greens." The winner at Quail Hollow last year arrives on the back of an excellent victory in the WGC-Bridgestone Invitational last week and a flick through his past wins shows he's won in back-to-back weeks and also defended a title so there are no worries on that front. He doesn't quite have the same consistency in the majors as other big names so that's a slight concern. Brooks Koepka - Majors Specialist. It's a deserved tag. As well as his two wins in the US Open, the American has also made the top 10 in four of his other 11 starts at this level. There's also a T11 and a pair of T13s over that stretch so he's got this down to a fine art. At Firestone on Sunday where he finished fifth, Koepka noted: "Some of the best majors I've played have been U.S. Opens and PGA Championships. I like the way they set it up. It's somewhat similar to a US Open. The fairways maybe just aren't as tight. Well, that being said, the last two years have been a little bit different U.S. Opens, but I like the way the PGA sets it up. It's very difficult. Usually about 10 under par wins it. It's a battle, for sure." And one that he should relish again. Day has a ridiculously good record in this event and T15 is his worst result in the last five years. Overall, he has a win and four other top 10s in his eight starts. Some superb iron play at Firestone last week suggests he can throw in another big performance although he did rather cave in on Sunday when a few current weaknesses were exposed. "I'm not too pleased with how I'm putting right now," he said on Saturday while the stats showed that he hit just nine fairways out of 28 on the weekend. A plus is that Day was runner-up to Rory in the 2011 US Open at Congressional when it played long and wet and the soggy ground means balls are less likely to run off the fairways. 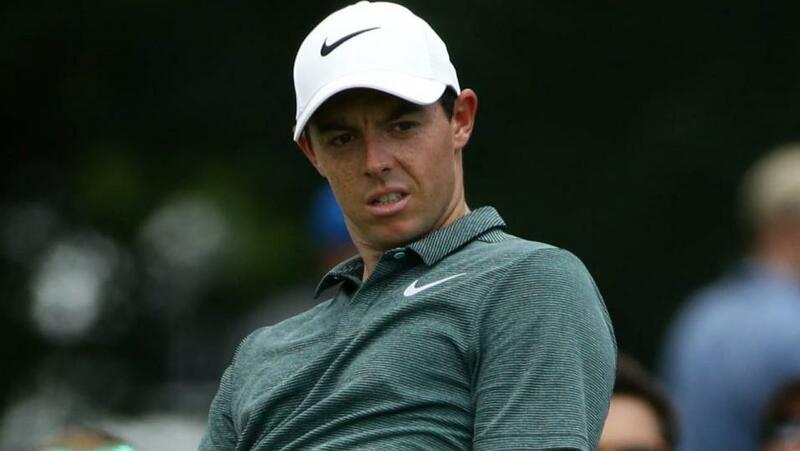 The back spasms which caused Rose to pull out of the WGC-Bridgestone Invitational have to be a slight concern although, at the time of writing (Tuesday evening) there's no word from the man himself. His Twitter timeline does at least show him driving a car alongside a smiling Hao Tong Li so the best guess is that he pulled out last week as more of a precaution. And you can't blame him for wanting to cash in on his hot current form as he bids to win a first major since 2013. Rose has reeled off five straight worldwide top 10s and has twice cracked the top five in the US PGA. If fit, he has to have a huge chance. "This course will play softer and longer than the other majors this year," said Spieth in Tuesday's press conference. "And then with big flat greens, lag putting is going to be key. If I'm not mistaken, in 2008, when the PGA TOUR came here, there were a mix of long hitters and short hitters that were all in contention. So even though it's going to be softer and wet, it's got the potential for I think anybody to work their way up the board." Spieth needs this trophy to complete the Grand Slam although second place in his amazing 2015 season is the only time he's made the top 10. He's been below his best this year and yet he's still posted a third and a T9 in two of the three majors. There's a lot of focus on Fowler not winning a major yet but he's been a profitable player to get with in these markets. He's racked eight top fives and two of those have come in the last four editions of this event - T5 at Quail Hollow last year and T3 at Valhalla in 2014. Runner-up at The Masters this year, Fowler's problem in recent times has been throwing in too many poor rounds when in promising positions. That played out again at Firestone and he arrives at the US PGA this year without a victory in 2018 and with just two top 10s since Augusta. While Fowler gets grief for not winning a major, Rahm so far has shown a baffling inability to make any impression in them bar a T4 in this year's Masters on a par 72 which indulges modest driving. True, it's very, very early in the Spaniard's career but having enjoyed a rapid rise to World No.2 it's fair to expect something much better in golf's four biggest events. Perhaps playing in a three-ball with Jordan Spieth and Justin Rose will be a good thing if their tactical acumen rubs off. Rahm was second for greens in regulation in the WGC-Bridgestone Invitational so if he can find the fairways his irons looks sharp. The likeable Englishman has set PBs in all three majors so far in 2018 and won't have to do much to make it a clean sweep having not finished better than T61 in three attempts in this event. He's made the top five in the last two US Opens and just missed a top 10 at Carnoustie last month after running out of steam on the weekend. It was a similar story at Firestone last week but Fleetwood has an upbeat attitude and continues to pelt more greens in regulation than most and that should work well again this week. I could easily back my outright pick Dustin Johnson here but feel there's no need to compromise by taking him in a side market as I think he'll win! However, I do believe the wet course plays into the hands of the big hitters so will play a trio of them. Rory McIlroy should love the conditions at Bellerive this week so I'm happy to take him at [4.9] for a top five. As he says in the quotes above, US PGA courses suit him and he's already had two top fives in the majors this year. If Justin Rose isn't right, he might miss the cut but if his back holds up there's no reason why he shouldn't perform the way we'd have expected had the ailment which caused his WD at Firestone not come to light. Therefore, I'll go for it and take the tasty odds of [6.2] for a top five. Jason Day's wonky driving is just enough to put me off him so I'll add in Brooks Koepka for a top 10 at [3.6]. He never seems to have a bad major and his extra length and calm temperament should guide him to yet another good finish this week. A Koepka top 10 ensures a profit on the week even if McIlroy and Rose don't hit their targets.